Last weekend, I took the kiddos downtown to get some gelatos. We've been loving gelatos lately, and the downtown grocer has them for just a dollar, so it's a no brainer. Don't get me started on coconut gelato...Um. So. Good! So...we take the 151 bus down Michigan Ave., hop off, and buzz up the street to the store. We turned the corner...and The Little Man's mouth hit. the. floor! 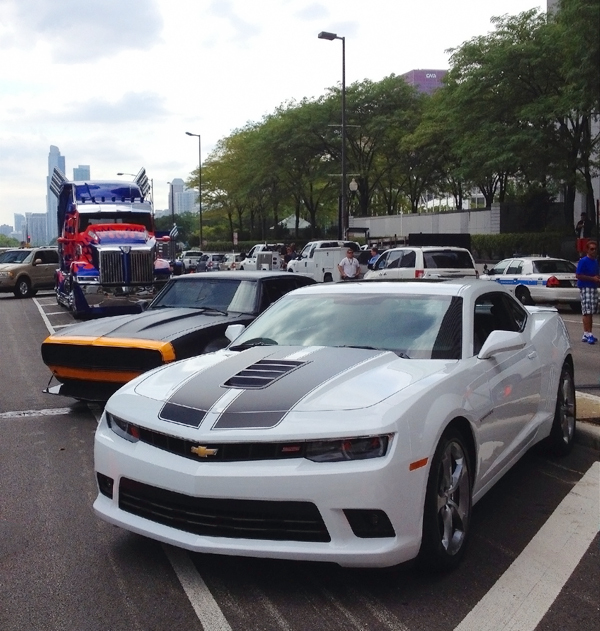 Uhhhh...we walked smack dab into the middle of Transformers 4 filming! Hello Optimus Prime! If you are a six year old boy...this is pretty much as big as it gets! Little Man was all: "OMG Mommy! 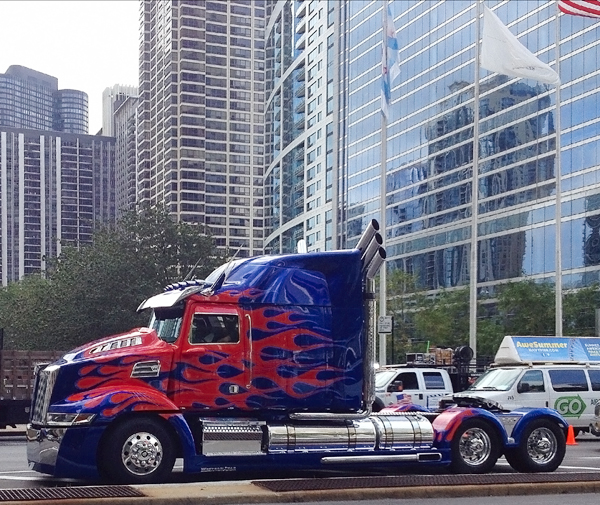 Optimus Prime is REAL!" I was all: "Heck yes he's real, he's right there!" "...right there, hanging with his other cool car, robot friends...or car friends..."
OK, so maybe Mommy doesn't know so much about Transformers...but my Little Guy was sure impressed!